Marq Doyon, audiophile and music lover. This is not really an obstacle, installation is very easy. 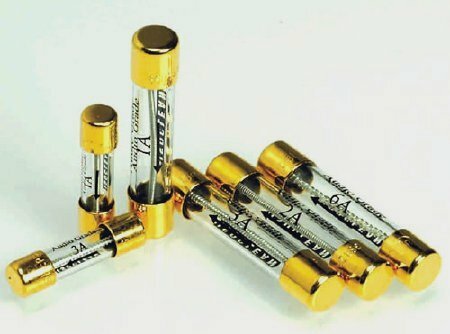 You take out the old fuse and install the isoclean fuse in its place—making sure the size and power rating (in amperes) are the same, obviously. Monsoon FPF 1000 hybrids, upgraded: crossover components all replaced with premium versions (Capa Mundorf Silver & OIl), crossover mounted externally on three points. Speaker cables are XSymphony Pure Silver with rhodium connectors, and one pair of Goertz Ref: Goertz MI2. Interconnects are Tork copper/silver with Eichmann Silver and Furutech Rhodium filament connectors. Power cables are XSymphony Silver Triton SE with rhodium connectors. Three separate AC lines from the panel entry in 4 x 10 ga. BX cable, with one breaker per line. 20 amp double receptacle on each. One Furutech RTP-6N box on the digital section. AMADEUS tripod shelf system from the Marc Philip Design inovaudio™ line. 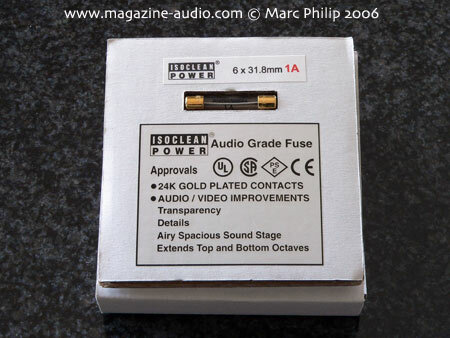 Something actually does happen to the sound when you replace the stock fuse with an IsoClean. The maker specifies that the fuse should be oriented in the direction of current flow, which is what we did. We tried putting one the other way around in the CD player, just to see… it does seem that the sound could be altered if you do this, less “open”, although this is only my personal impression. Once all the units had IsoCleans, we noticed that the upper midrange was more fluid and open, seeming more present and natural, with the grain on voices smoothed out. The bass was undeniably firmer and more distinct. As tests in the past had shown, improvements to the electrical supply can make audio equipment work better. —the IsoCleans can’t be expected to create a revolution. However the change is worth it for those who want to tweak their systems to the limit. 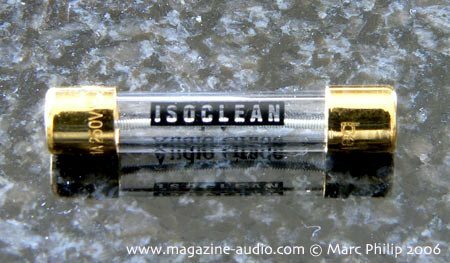 The IsoClean is better than the stock fuse. You’ll have to make up your own mind about them, but we’re keeping ours. I’ll turn this report over to Marq now, for the results of his own trial of the IsoClean fuses… to be continued.